If this is your first time getting a reading from me and you’re interested in this one, I would advise you to get a regular reading first to see my style and if it resonates. If it resonates then proceed to get this reading. It may not make sense the way that I do this. 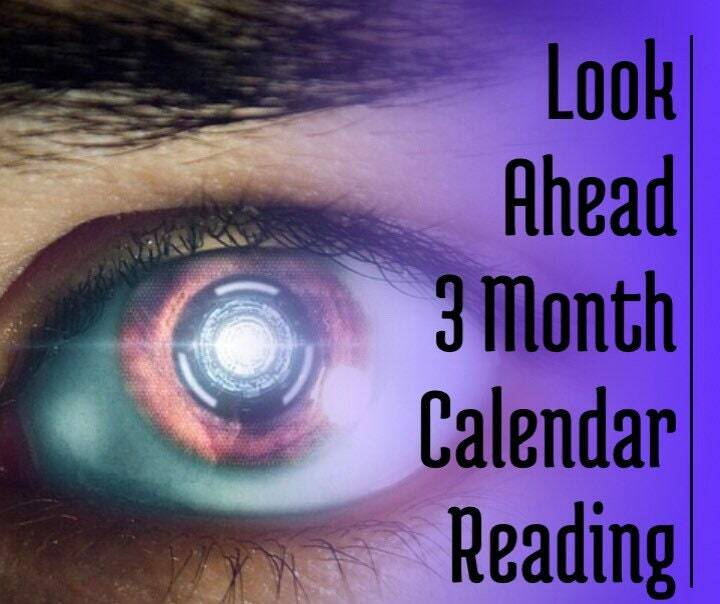 It may not be like the typical future reading you would get. This is a look at your life for 3 consecutive months in a row. Learn about what’s coming and what to avoid. Preventative measures spread. I get messages when I touch the cards. Receive messages from your Guardian Angel(s) as well pertaining to the situation. You will get homework sometimes from your Angels and spirit team. You may be guided to take certain steps monthly for your growth. Nothing is set in stone. Unless it was predetermined by your spirit team and Angels. Just be aware that with this type of reading it is not an exact science and things flow and can change. Sometimes things will happen earlier or later then the probability it was predicted. So just be open-minded. People have told me that things have happened exactly in that month and then other people have told me that it happened earlier or later than it was predicted. We have peoples free will choices also involved so that’s why things may not be exact. Somethings are projected to happen and then change for a reason. It’s based off of the energy that I read about your future in that moment. If you change what you were doing or don’t follow through on the Angels guidance you won’t get quite the outcome that you want. If you’re expecting a career change or to reunite with a partner, please have patience. This reading is not just fortune-telling the future. You will also get steps to take and guidance to follow to help you along your path. This will tell a probable out come to the path you are currently on. This gives you an opportunity to stay on path or deviate for a better result. the choices you make daily can shift the future. Enter this information into the 'Remarks to Seller' section at checkout. I will keep you posted on updates and when to expect it. Always insightful. I always go to Laura when I when I can’t read for myself. Her month ahead readings are remarkably accurate. Great for having a higher outlook going into each new month. Thank you again Lauri❤️This reading is very accurate and resonated with everything that’s happening.